This card is beautiful! I love the layout and your doodled stitching. It adds to the country / Fall feel. I agree with what you said. I, too, have been talking with others about life. Good times, hard times, times we don't understand. There is always something to Thank Him for. My dad was telling a lady the other day that there are two times to praise God and asked her when. She couldn't think of but one (all the time) and she was technically correct. Daddy was just messing with her a bit. He said "When you feel like it and when you don't feel like it." "For all you've given to me, for all the blessings that I can not see. Thank you Lord." This is beautiful. I love your stitching and elements. Thank you for Linking Up at PDE Linky Party. Beautiful card, and lovely sentiment, just perfect for the Path of Positivity challenge this month-thanks for playing! Lovely card! Thanks for joining the Shopping Our Stash crew this week for our "Leaf Me Alone" challenge!! Stephanie, this is just beautiful. What a lovely, rich and warm card. Sweet little image...perfect match for you card. It's so sweet. Stephanie, this is just beautiful! I love the colors and the layout...just beautiful!! Absolutely beautiful card! The sentiment along with the image is ever so appropriate for this time of the year and always!!! Thanks for joining us at Scrapbook Blessings Club!!! Good luck and hope to see you again with your creativity! Wonderful card and post. So true, there is always something to be thankful for even when things are not going smoothly. 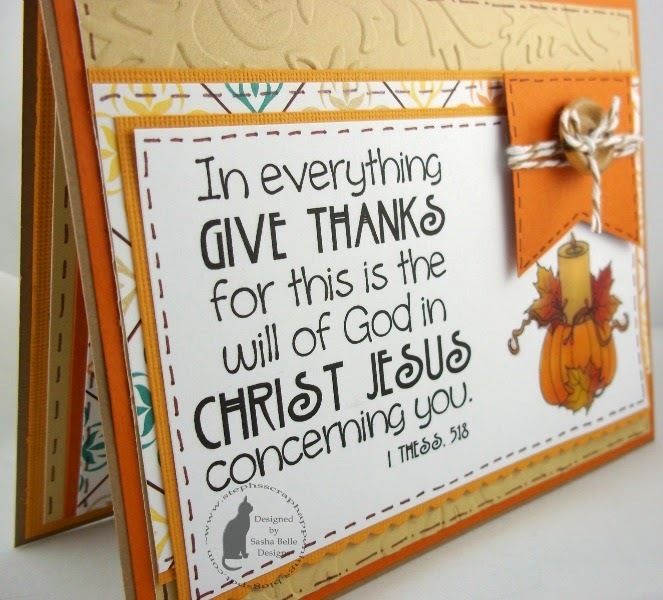 Thanks for sharing with us over at Scrapbook Blessings Club! Very nicely composed and beautifully executed! Thanks for accepting the challengee this week here at Shopping Our Stash! Beautiful card, the coloring & colors are stunning. 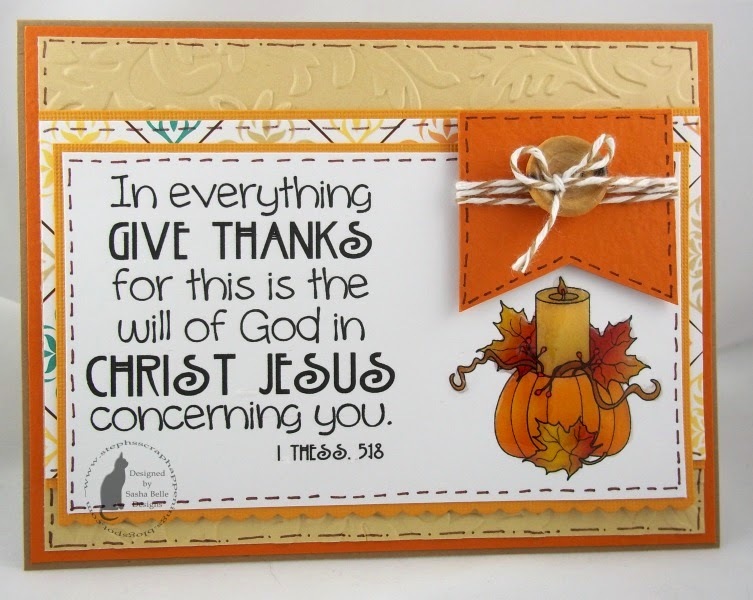 Thanks for joining us this week at Eureka Stamps for Count Your Blessings. Prety card, Stefi!I love the colors. Thanks for playing the Eureka Stamps Challenge! Such a beautiful card and sentiment! Beautiful card! Love the explanation you gave to the verse. It's very true! Loving the autumn colours and beautiful wording. This is so perfect for our GRATITUDE theme this month. Thanks for sharing your talent with us and good luck.